The 127 mph on a bike with Godzilla gearing was a popular story I linked to this weekend. Also, the swagger in that pose, and jersey. 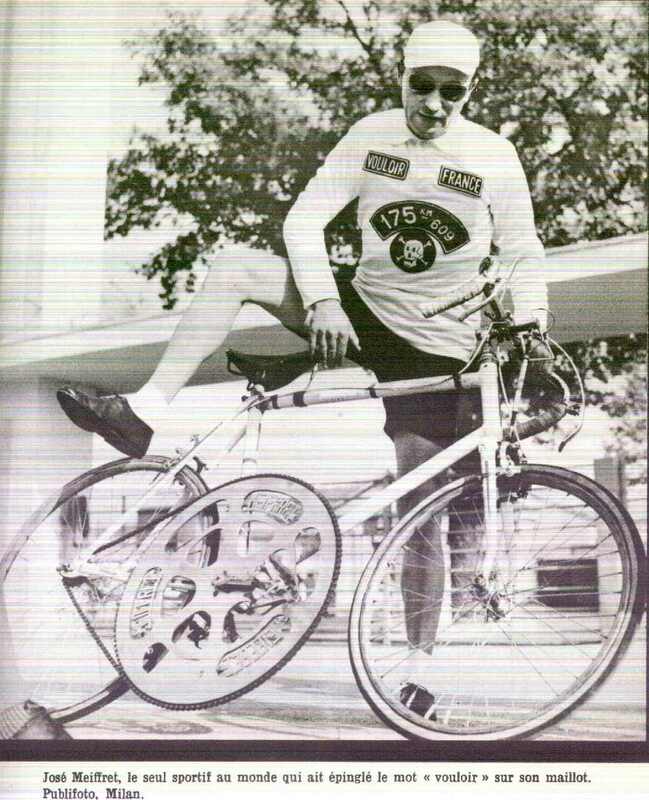 The photos and text are from a 1965 report about a daredevil cyclists José Meiffret, who reached a fantastic speed. In case of fatal accident, I beg of the spectators not to feel sorry for me. I am a poor man, an orphan since the age of eleven, and I have suffered much. Death holds no terror for me. This record attempt is my way of expressing myself. If the doctors can do no more for me, please bury me by the side of the road where I have fallen. Bob Freitas has the story byline and the original article was scanned and uploaded to Velo-Pages. 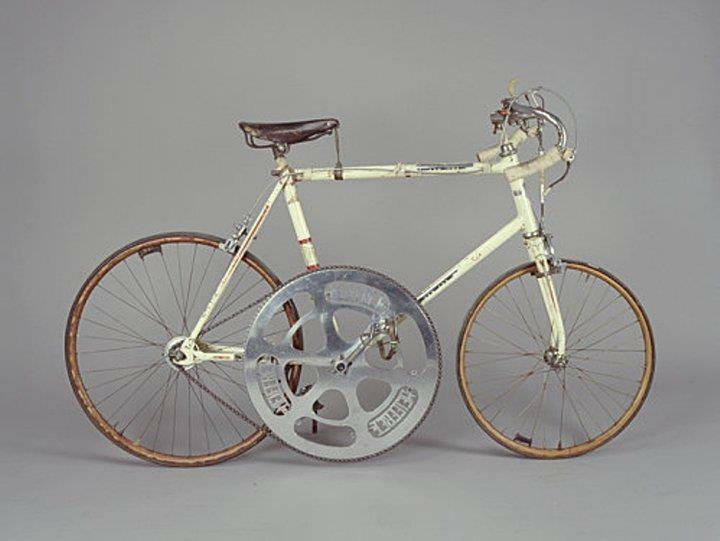 In the post-Lance era, when the fashion trend is to hide chamois underneath baggy board shorts and mute a jersey into a drab tunic, here’s how a man expressed himself on the bike 50 years ago. Meiffret went as hard as he could, suffered, and cheated death. He did it for the glory and wasn’t worried if he looked too roadie, clacked his cleats across a grocery store floor, or what his commute was like. He also didn’t self quantify on a social network, he did it by holding that bike upright, turning a gear into a record. Meiffret’s story reminds us to say, show yourself roadie! We can see the chamois hidden underneath those baggy-board shorts. When you ride and race the road, embrace the sport, live it, and do so with a nod to its rich history.